The Boy Who Never Gave Up is the inspiring true story of NBA superstar Stephen Curry. 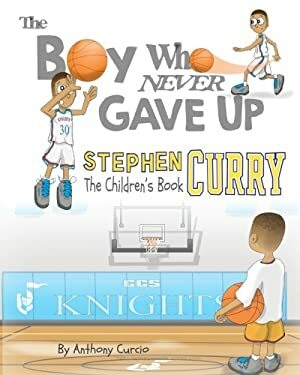 This Fully illustrated picture book biography tells the story of a young boy who many said was too short to play in high school, too weak to play in college and not good enough to play in the NBA. Against all odds, this small boy who follows his dream, not only makes it to the NBA, but becomes one of the greatest players to ever play the game of basketball. Children's/Kids Picture Book Biography K-5 Be sure to check out the new release: NFL All Stars 2017: Coloring and Activity Book for Adults and Kids featuring 30+ of today's hottest stars including Ezekiel Elliott, Tom Brady, Julio Jones, Aaron Rodgers, Russell Wilson and so many more!